Molex introduces modular D-Sub mixed-layout connectors and cable assemblies through FCT electronic GmbH, a Molex company. 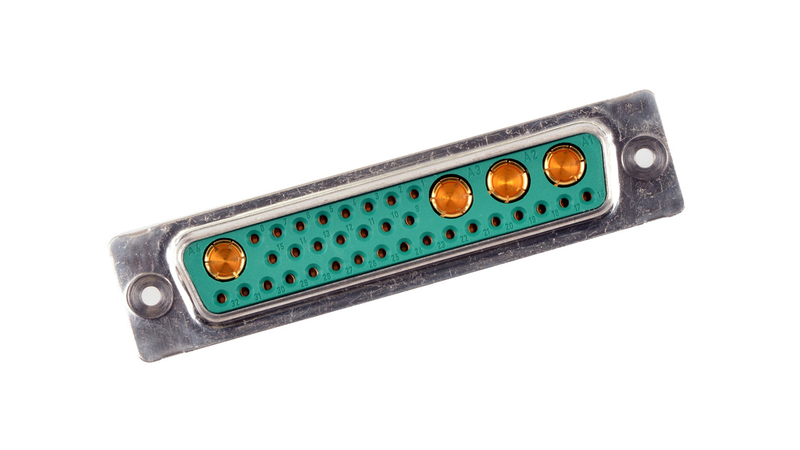 Tailored to meet specific customer requirements, the UL-approved D-Sub mixed layout connectors can combine power, signal, RF and pneumatics to accommodate a range of industrial automation applications. For harsh environments, where regular wash-downs are required such as in the food and drinks industry, up to IP69 sealing is available. The mixed layout series is designed modularly. We offer 75 and 50 Ohm coaxial contacts, high power contacts up to 40 A, high voltage contacts up to 3 kV and pneumatic contacts with numerous different contact arrangements accommodated according to design requirements. Depending on the end application, solder, straight PCB or crimp terminations are available. For safe and reliable installation, the necessary insertion and removal tools for the crimp versions are provided. Depending on customer requirements, various plating options are available. A comprehensive range of accessories including sealing plugs, guide pins, guide plates, hoods, spring locks and slide locks are also available. Pin connectors are shielded with dimples.